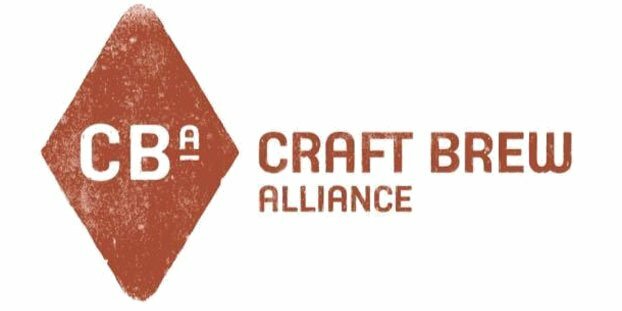 The Craft Brew Alliance (CBA) has a sharp focus on building a national presence for its three beer brands — Widmer Brothers Brewing, Kona Brewing and Redhook Ale Brewery. While Redhook inked a deal to create a new brew for Buffalo Wild Wings, which will boost the profile of that brand going forward, the CBA’s overall first quarter earnings reflect the growing pains associated with such an ambitious goal. Despite some short-term declines, the Craft Brew Alliance did not alter its projections for the year, indicating that the slight drops were expected and part of the more long-term strategy. Further, a gross margin rate of 24.4 percent was a decline of 600 basis points from 2012, driven by lower shipment volume and lower capacity utilization. The loss per share of $(0.09) includes a $(0.02) net loss per share for reorganization costs. The prior-year period saw a diluted earnings per share of $0.04. The optimization process also lead to a pickup in expenses. Selling, general and administrative expenses (SG&A) hit $11.8 million, which is inclusive of both continued investment in its portfolio strategy and approximately $0.5 million in costs associated with reorganizing the sales and marketing group. Depletion volume did grow by 5 percent year over year. Despite those returns, the CBA did not alter its projections for the year, indicating that the slight drops were expected and part of the more long-term strategy. “First quarter results were in-line with our expectations, which included promising depletion growth and supply chain adjustments to better match production to the seasonality of our sales,” said Terry Michaelson, chief executive officer of the CBA. “Further, we are reconfirming that we expect meaningful growth in both revenue and earnings in 2013 resulting from the overall strength of our portfolio strategy, operating expense leverage and SG&A leverage. Depletion growth estimate of 7 percent to 11 percent, reflecting the continued strength of the Kona, Redhook and Omission brands and further stabilization of the Widmer Brothers brand. Average price increases of approximately 1 percent to 2 percent. Contract brewing revenue for 2013 at approximately half of the 2012 level as a result of the termination of the Goose Island contract brewing arrangement. Gross margin rate of 28.5 percent to 30.5 percent, reflecting pressure from distribution and packaging component costs, partially offset by improved brewery productivity. SG&A expense of $47 million to $49 million, reflecting leverage from the foundation built by more aggressive spending in prior years. Capital expenditures of approximately $11 million to $13 million, continuing our investments in capacity and efficiency improvements, quality initiatives and restaurant and retail remodeling projects. Other goals and expectations the company has for 2013 include: the growth in sales of Kona, Redhook and Omission, and clear positioning of Widmer Brothers offerings; expansion into new geographic markets for Kona and international expansion for all brand families; updates to packaging across all brand families, as well as introduction of unique can and bottle offerings; refined messaging on Omission beers, promoting the beer as specially crafted to remove gluten; exploration and introduction of new brands to the CBA portfolio including the new Redhook brand Game Changer developed in collaboration with Buffalo Wild Wings; and continued development of cross brand packages.